Swirl Cathedral Engagement Ring in Platinum | Shane Co. This beautiful engagement ring is crafted from superior quality platinum and features a unique swirl design. Sixty-four pavé-set diamonds, at approximately .30 carat total weight, have been hand-matched for exceptional beauty and brilliance. 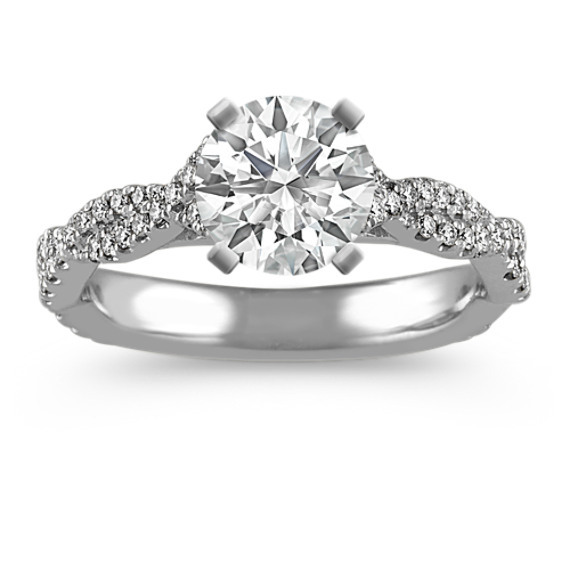 Personalize the look by adding center diamond in the shape and size of your choice. This cathedral ring measures 4.4mm at the widest point and 3mm at the band.